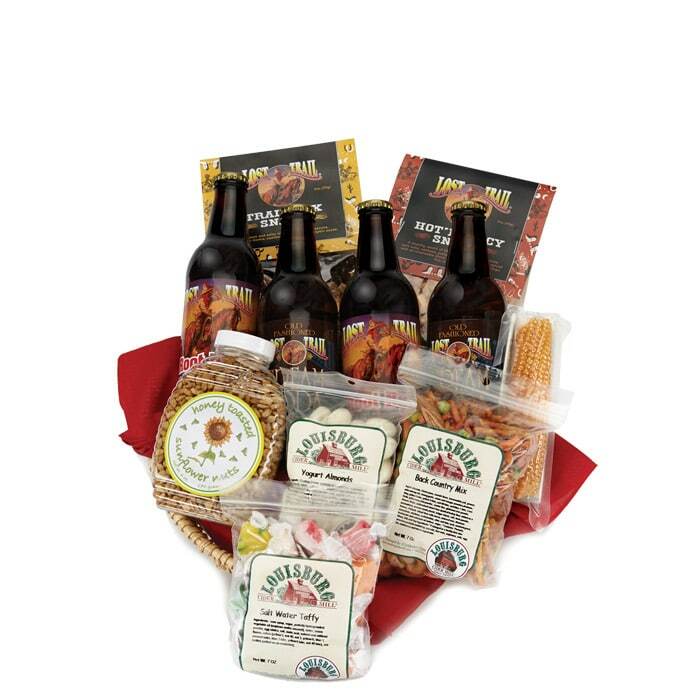 This Bandanna lined willow basket is packed full of a wide selection of some of our best-selling snacks and beverages, including two bottles each of our smooth tasting Lost Trail Root Beer and Cream Soda. There’s a Trail Mix Snack, a Hot’ N Spicy Snack, one amazing Popcorn Cob, and a jar of Honey-Toasted Sunflower nuts. Also, be ready to enjoy a delightful assortment of other delicious items chosen by our Country Store staff. Choices are based on seasonal availability. Feel free to give us a call if you would like to know what this season’s selections are.